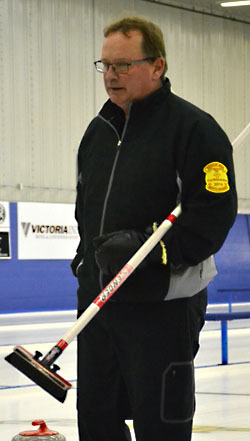 Make it three provincial senior men's curling titles in four years for Neepawa's Kelly Robertson. The curling foursome defeated Bob Sigurdson of West Kildonan 7-3 in the senior men's provincial curling championship final at the Brandon Curling Club on Monday. 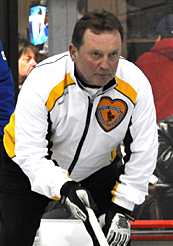 Neepawa's Kelly Robertson remains undefeated at the senior men's provincial curling championship at the Brandon Curling Club.